These terms and conditions are important and protect you and us. Please take the time to read the terms and conditions carefully. If you have any questions about the terms and conditions please email us at info@goldenireland.ie or telephone (086) 6772174. Our aim is to be professional, efficient and courteous with both our customers, and suppliers. In these terms and conditions “we”, “our”, “us” and “the Company” refers to Golden Ireland. The term “you” means the person making the reservation, and “group” includes all people travelling with you. Where you complete and sign a booking form or make a telephone booking on behalf of all group members, it is assumed that you are the lead contact for your group and that all correspondence or conversations will take place between you and us. You will be deemed to have the authority to enter into a contract with us on behalf of your group. These conditions shall form the basis of the agreement for your trip away and shall apply to the exclusion of any other terms and conditions whether put forward by you, your group or a third party or whether implied by law (insofar as the exclusion of the same is lawful). No alteration to these conditions shall be effective unless expressly agreed to in writing by Golden Ireland. The provisions of these conditions are severable and distinct from one another and, if at any time any of the provisions is or becomes invalid, illegal or unenforceable, the validity, legality or enforceability of the other provisions shall not in any way be affected or impaired. The headings in these conditions are for convenience only and do not affect the interpretation of the agreement. Bookings may be made by phone or email. A completed booking form must be returned to Golden Ireland Directory Limited, 77 Pinewood Crescent, Glasnevin, Dublin 11. It is understood that those persons booking by telephone accept these terms and conditions. In all cases it is assumed that the person initiating the booking is responsible for making all members of the party aware of these conditions. You accept that the Lead Contact has the authority to deal with us on your behalf. If for any reason there is a change in the Lead Contact, you should notify us in writing immediately. The Lead Contact is liable for payment of the amounts due and therefore is responsible for collecting all monies and making payments to us by the due date. The Lead Contact must be authorised to make the booking on the basis of these Booking Conditions by all persons on the booking. All members of your group must be at least 18 years old. Unless informed at the time of booking Golden Ireland cannot be liable for any conflicts of timing with any activities you have booked independently of us. Golden Ireland require a minimum of 20 people to make a booking. Golden Ireland recommends you take out travel insurance that holds the correct cover for you and your group’s participation in the itinerary. You should ensure that any insurance policy covers personal accident, medical and emergency evacuation, loss of monies etc. If you decide not to take out travel insurance suitable for your arrangements independently, you hereby agree to indemnify us against any claim of loss or injury, and you and your group members participate entirely at your own risk. Participation in activities that are not booked as part of the itinerary or has been booked independently of the reservation will not be the responsibility of Golden Ireland and we shall not be liable. The Customer shall check all booking documentation immediately it is furnished to him/her. Errors must be brought to the Company’s attention immediately and cannot be rectified later. If the Customer has a query in relation to the contents of any document he must notify the Company of these concerns within seven days of receipt. It is the responsibility of the Customer to ensure that all booking details etc. are in order. If the booking is made more than 14 days prior to the date of departure as shown on the booking form, a deposit payment and a final balance payment are required. If the booking is made less than 14 days before the date of departure as shown on your booking form then payment must be made in 1 installment. Bookings made within 14 days of departure date must be paid in full at the time of booking. Golden Ireland reserves the right to pass on any increases in cost of a Service as a result of the fluctuation in currency exchange rates, increases imposed by suppliers or any increases due to Government action. In order to book, a deposit of 10% is payable. Some parts of the break may require full payment to be made with the deposit in order for us to book them on your behalf. If this is the case you will be notified in advance. Monies paid for these tickets are non-refundable. These activities may include, but are not limited to; show tickets, transport and theme parks. The final balance should be paid by you, the customer, no later than 14 days prior to the trip commencing. Upon paying your final balance, you should notify Golden Ireland of any alterations in the number of people attending. If the number of people has decreased we will calculate the final balance by deducting the deposit payment from the total package price given the number of confirmed people attending the break has not dropped by more than 25%. (See cancellations). If Golden Ireland is not notified at least 14 days before your weekend break of any alterations to numbers, we can not guarantee that some additional charges may occur. Please note that at which ever point the customer decides to pay the final balance this is taken as a confirmation of final numbers and should the customer wish to add more people to the booking after this point a handling fee of €20 per person added may apply if it is indeed possible to add extra people at all. By cheque, made payable to Golden Ireland Directory Ltd. Golden Ireland will accept cheques from individual group members, but they must be gathered together by the lead contact and posted to us in 1 envelope along with the remittance advice form sent to you with the booking confirmation. Golden Ireland can not be held responsible for cheques not being received by the given date and reserves the right to change the price, change the details or cancel the required package should payment be late. By bank transfer by Internet or telephone – our bank details can be provided upon request but at least 5 working days should be allowed for payments to reach us, and all bank charges and fees must be paid by you or the person arranging the transfer. If full payment is not received by the date specified by us, then we reserve the right to cancel your reservation and cancellation charges may apply (See below). All cancellations must be notified to us in writing immediately. If you cancel the whole booking before the final payment is due, your deposit will not be refunded. However, provided you notify us of your cancellation before your final payment is due, your deposit may be transferred to another mutually agreed date within 12 calendar months of the original booking date. Should you cancel your whole booking or part of the booking after you have paid for the break in full a 100% cancellation fee will apply. This also applies if you should decide to pay for the trip in full earlier than 14 days before the booking date. Should your group numbers decrease and we are advised of the amendment at least 14 days prior to your visit, and the final payment has not been made, we will where possible not charge you for the reduction in the groups size subject to the group numbers not reducing by more than 25% of the confirmed numbers given at the time of booking. Deposits paid for such members not making the visit will under these circumstances not be lost if as stated, 14 days notice has been given of their intended absence and the final balance has not yet been paid. The deposits received for those missing members will be credited and taken into account when calculating the final balance due for the group. In the event of a cancellation after final balances have been paid by individual group members or, part payments have been received, all monies are non- refundable should the group leader cancel the booking. If the cancellation is made 14 days or more before the booking date all part payments may be transferred, as a whole, to another mutually agreed date within 12 calendar months of the original booking date. Only on receipt of deposit will your detailed package be forwarded to you by email. This package will give full details of your hotel accommodation, daytime activities, coach transfers and day time activities where applicable. We would ask that you check this carefully. If there are any discrepancies, you must contact us immediately. We also ask that you follow the times as closely as possible. Golden Ireland cannot be held responsible for your group not receiving their full itinerary if you run late. This is especially important with any daytime activities, shows or entry to Visitor Attractions. If you arrive late for an activity you may not be able to participate or the experience may be shortened at the discretion of the supplier. Where a meal is included within a package, Golden Ireland is not responsible for paying the service charge and this should be paid for on the evening to the restaurant by the group. In most cases your meal is included however your quote should be referred to for clarification of this. You should refer to your quotation with reference to how many courses are included and if drinks come as part of the package. In the first instance and based on your internet or telephone enquiry a written quotation will be emailed to you. These terms and conditions will be made available to the customer at this stage. Once a booking is made with Golden Ireland the majority of communication where possible will be by email. Golden Ireland is not responsible for emails being filtered into a junk folder or the customer not receiving the email. As standard, your final package will be emailed to you. Postal copies can also be requested. All alterations should be made directly with Golden Ireland. We will always try to accommodate any reasonable requests for changes to your planned break. It is very difficult to make changes to planned activities within 14 days of your intended break, particularly in high tourism season. We would therefore ask you to bear this in mind when planning your break and various activities. Should you wish to alter your booking by adding more people to the group after the final balance has been paid a €20 per person handling fee may apply if it is indeed possible to add extra people at all. Those using the facilities of our suppliers automatically agree to be bound by their reasonable conditions. For example regarding safety and cancellations. Activities may be cancelled for various reasons for example weather conditions, (if this is applicable to the activity chosen) which could affect customers safety. We reserve the right to make alterations to activities, accommodation (including allocation of room type) or any other arrangements, at any time where necessary due to any circumstances beyond our control. We will inform you of any such changes as soon as it is reasonably possible. Should it be necessary to make arrangements for an alternative activity at a lower cost value, you will be entitled to payment of the net difference between the original cost of the activity and the cost of the alternative arranged. In the event of part of your booking being cancelled, for example the last minute cancellation of a show or scheduled activity, we shall inform you as soon as possible. 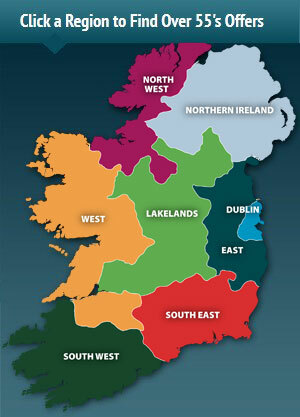 In such circumstances Golden Ireland will offer suitable alternatives including a refund for this part of your package. It will not be possible to offer a full refund of your package for this type of alteration. In any event, we shall not be liable for any delays or any failure to perform any of our obligations under these conditions, or any third party obligations, caused by any factor beyond our reasonable control (`force majeure’), including but not limited to acts of terrorism, industrial disputes, natural disasters, poor weather conditions and the declaration of war. If due to circumstances beyond our control it becomes necessary to substitute an alternative standard of accommodation or make any other alterations to the event that differ from the quoted package we shall inform you of the changes as soon as possible. If the changes are substantial and you are unwilling to accept them you may cancel the entire event by notifying us of your intentions in writing. Management will then review the case and if it is deemed that the changes were substantial enough to warrant the cancellation, a part or full refund may be issued. Any venues quoted prior to receipt of your final package may be subject to change, and where these changes do not constitute major change as described above, Golden Ireland accept no liability. These small changes can include but are not limited to, a different (but similar standard) hotel, coach, visitor attraction or restaurant. If, due to circumstances beyond our control it becomes necessary to revise the price of your trip after you have paid your deposit but before the final balance is due we reserve the right to do so with reasonable notice. The standard of accommodation booked for your weekend will be based on your original written quotation. We do not make a distinction between types of breakfast, only that breakfast is provided. We will endeavour to book the rooms of your choice if you have a preference, however, we cannot guarantee which room types will be available upon booking the hotel and at no time will the types of room allocated form part of the contract between you and us. Your hotel will be located with convenient access to the location you have chosen. From time to time hotels may close certain services due to reasons out of our control such as but not limited to staffing, refurbishment or malfunction. Golden Ireland will not be responsible if an advertised service within your hotel is not available during your stay. However, if the service in question was added to your original quotation at a price then we will of course reimburse you for this part of your break. The contract set out in these terms and conditions will be between Golden Ireland and with the person who has received a written quotation. Where a quote has been received and a different person pays the deposit, the contract will remain in the name of the person who received the written quotation. In some cases, the person who makes the initial deposit payment may request the booking to be changed in to their name as opposed to the person in receipt of the original quote; in this instance the contract will be placed in the payee’s name and written confirmation will be sent to the new group leader. In all cases, it will be established at the time of booking who has entered into the contract and a formal email or letter will be issued confirming this. Inbound and outbound phone conversations maybe recorded in order to monitor quality and performance. Any complaints should be directed in the first instance to the supplier concerned. If this is not possible, you should contact us and between the parties involved we will endeavour to put matters right straight away. Failing this you should inform us in writing within 14 days after the date of your break. We will endeavour to reply to your complaints within 28 days.